I’d like to delve into a topic that personally makes me angry. Sometimes not just mad, but absolutely furious. It seriously keeps me up at night sometimes. It’s something that every single human on the planet has to deal with, and most people either don’t know about it at all or don’t understand it well enough to take it seriously. I’m talking about the immune system. Want to lose weight and supercharge your health? Better listen up! You, as a human creature, are actually only 10% genetically human cells. If you find yourself saying, “eww, gross! I have tiny little things crawling around in me, I need to kill them!” It’s time you realize how crucial these little gut flora are. Your immune system is crucial to real health. In the micro-world, there’s both good and bad flora (simplified as bacteria for now). The bad guys are the ones who invade your body and want to make you sick. 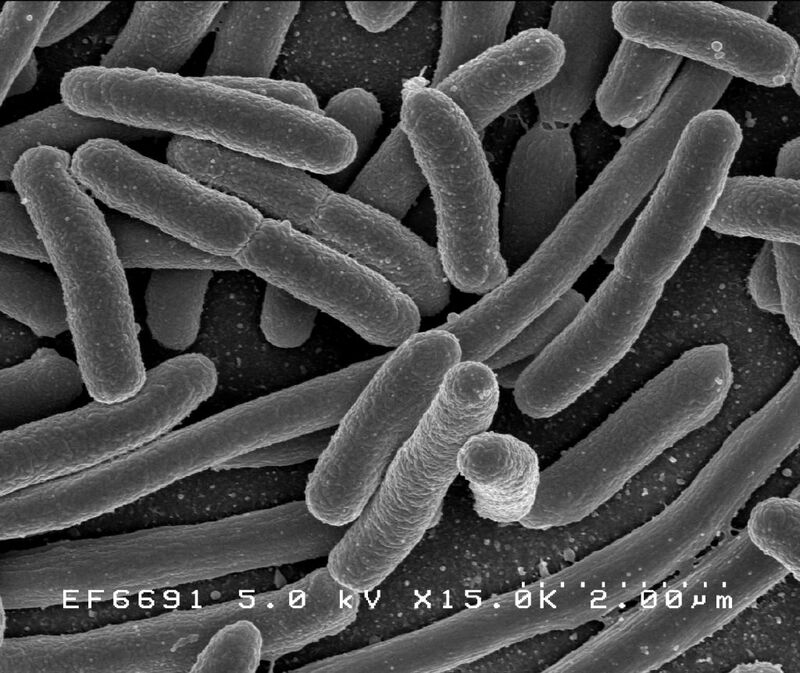 The only way to fight them is with your own personal little secret army of good bacteria. These little guys are fighting for you. They’re your personal “MicroSpartans”. Yes, MicroSpartans. Your immune system. I’ve always envisioned the immune system and gut bacteria as tiny Spartan warriors that live inside and outside your body and protect you from the bad guys. If you’ve seen “300”, you know Spartans don’t mess around. They’re a proud warrior society and one of the most brutal and efficient warriors of all time. There’s a war going on 24/7 inside and outside your body, and it’s kill or be killed. Bacteria is everywhere on this planet. It covers every single surface, from the bottom of the ocean to the deepest cavern, to the mouse you’re now holding. You cannot sterilize everything and it would be foolish to do so. You need to be able to protect yourself against the bad guys. This is why we need a strong immune system! The enemy bacteria will stop at nothing to get what it wants. This means you being their unwilling host, stealing your nutrients and making you sick! Your MicroSpartans are the only thing standing in their way. You have a natural army, but you need to keep them strong if you want them to fight. At the same time, these little guys are also crucial for handling the metabolism of your nutrients. (In other words, breaking down your pizza and beer into something your body can use to function.) They are the chemical processors that take over the moment the food enters your mouth to the point where it is deposited into its porcelain shrine. How well you break down the foods, how efficiently it handles the nutrients (or lack of) is all dependent on them. In terms of weight loss, it has been found that taking the gut bacteria from a thin person and injecting it into an obese person caused them to lose weight! This is because the efficiency of one group of bacteria can be different from another. Obese people tend to metabolize more calories from their food than thinner people. This is because they have a completely different set of gut flora! Obese people tend to have a particular set of gut bacteria that is harmful and fed by excessive carbohydrates in the diet. Some of them can rot away teeth, others can puncture the gut wall and cause toxic pre-metabolites to leak into the bloodstream. It’s a condition called leaky gut syndrome and it is very serious. Bacteria effect everything in the body. How do I stop the bad guys?? Reducing refined carbohydrates and junk food can help to starve these bad bacteria. It also gives the good bacteria a chance to take over and repopulate with beneficial flora. How do you help to introduce good bacteria back into your system? Using simple easy to make fermented foods! The body needs beneficial MicroSpartans to work properly and help keep intruders out. It’s called symbiosis, it’s two completely different organisms co-inhabiting each other for survival. That’s how we humans work. It has been this way since the birth of man and it took billions of years to perfect. There’s a lot to know about these MicroSpartans and how they work. I’ll do my best to explain it soon. This is just a preview. In the future I’ll go into how they influence our behaviors and moods, how they can help us think better, and how they may be a factor for things like autism. For more info, watch this superb TED Talk on our MicroSpartans. TL:DR: You’ve got lots of little things crawling around outside and inside you. Get them healthy and you’ll be healthy. They decide how fit you are and how well you’re protected from the bad stuff. Feed the MicroSpartans and starve the bad guys. Treat them good and they’ll help you lose weight and feel better.